The city of Arica in Chile has a small city center, and is rimmed with sand dunes to the east and the beautiful Pacific Ocean to the west; nothing towers over this city, other than the big cliff of El Morro. There are some great restaurants to eat at, enticing stores to shop at, and endless gorgeous beaches to sun yourself on. Luckily, there are some fabulous boutique hotels to rest in after a day of exploring this sunny city. Here are the best of them. Those who really want to make the most of the permanent sunshine in Arica will enjoy the beautiful patio at the back of Savona, as well as the sun-speckled pool. As the hotel is very close to the center, it takes no time to walk to and from the restaurants and the beach, if you fancy a change from the pool. 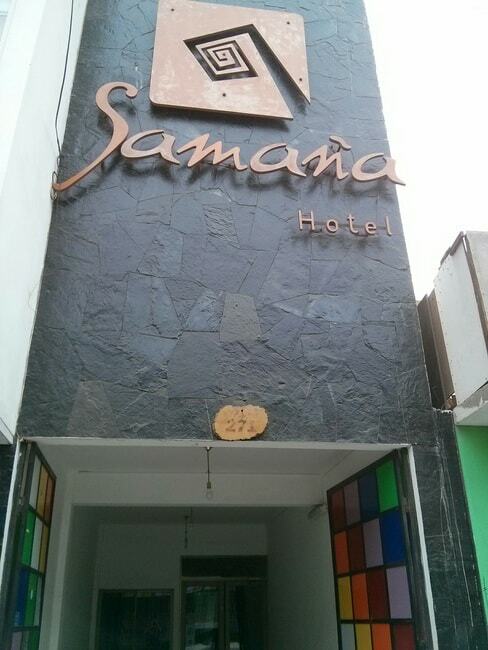 Wedged into downtown Arica, the sliver that is the Hotel Samaña opens up into a spacious inside and offers a great location, clean, comfortable lodging, and easy access to the restaurants and shopping opportunities in Arica. Modest, cozy rooms offer a great place to relax after a day in the sun, and the darker interior is soothing to the eyes after a day in the sun. Step out of the lobby and you are on the main walkway and right in the heart of Arica, on the pedestrianized street 21 de Mayo, lined with restaurants, shopping, and street entertainment. Hotel Gavina Express offers location, location, location for those who want to be in the thick of it. This is one of the most unique hotels you will find, not only in Arica, but in South America. It has a very earthy design with beautiful raw-wood beams, and it is positioned right on the beach, offering many fantastic open views of the ocean. If you want peace and quiet, access to nature and the beach, and to treat yourself, this is your spot. 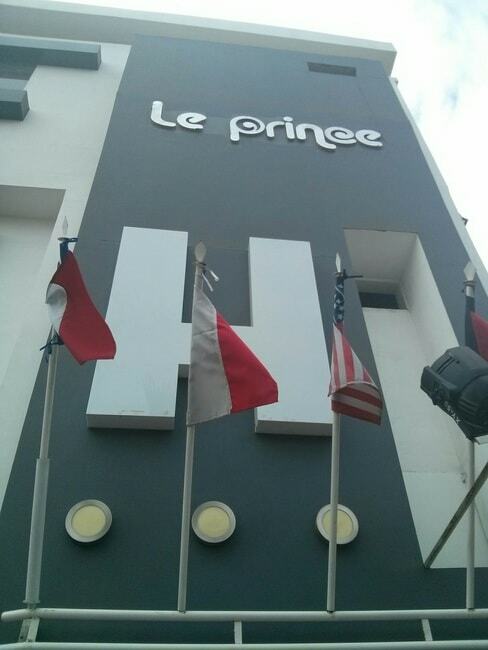 Hotel Le Prince, wedged between the older buildings of Arica, stands out like something imported from the future. Square and modern, both on the exterior and in its interior furnishings, Hotel Le Prince is a new, bright, clean hotel on a quiet side street, yet only a short walk from the center of everything. A great combination of modern style with comfortable, cosy furnishings, Aruma Hotel Boutique offers a clean, modern environment that makes your hotel room feel like a home away from home. With a great rooftop patio to relax on, you won’t be cooped up in your room, no matter how comfortable it is. It’s a great place to take in the sun, or have a drink and relax at night. The simple, square, modern-looking exterior of this hotel belies an impressive, clean, crisp layout inside. Stunning wood floors, large comfortable beds, and a quaint bar all go to show that you can’t judge a book by its cover. Just one side street away from the main restaurants in the center of Arica, it’s in a prime location, too. If you’re after resort-style accommodation, you can get it just around the corner from El Morro, right between Playa El Laucho and Playa La Lisera. 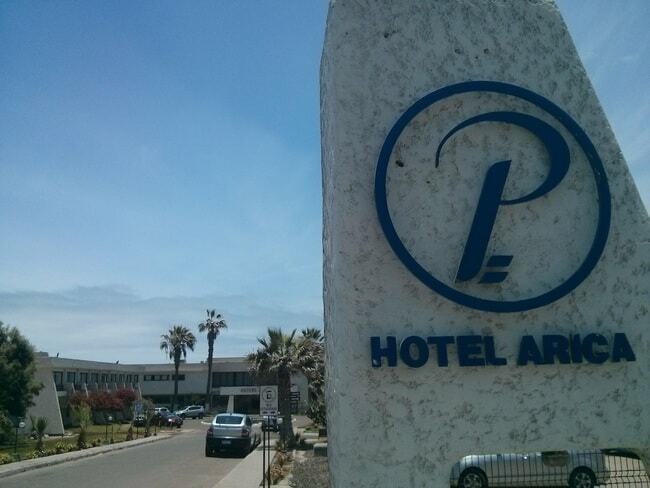 Panamerica Hotel Arica, sometimes referred to simply as Hotel Arica, is a boutique-resort property that offers a beautiful patio, restaurant and pool right on the water’s edge, with a beach to your left and right, and still only a 10-minute walk from central Arica. Outside of the center, and only a few blocks from Chinchorro Beach, the appropriately named Chinchorro Suite Hotel Lodge is a lodge-style building constructed of old wood. It’s a great hotel for beach lovers who will be spending a lot of time in the sea, sun, and sand. With a number of restaurants on the shoreline, you don’t even need to venture into the center to get a great meal.